Sometimes, nay - often, - often in this lovely photography career of mine, I can't even believe my good fortune. That is exactly how I felt the moment I first sat down with Thao and Khoa. 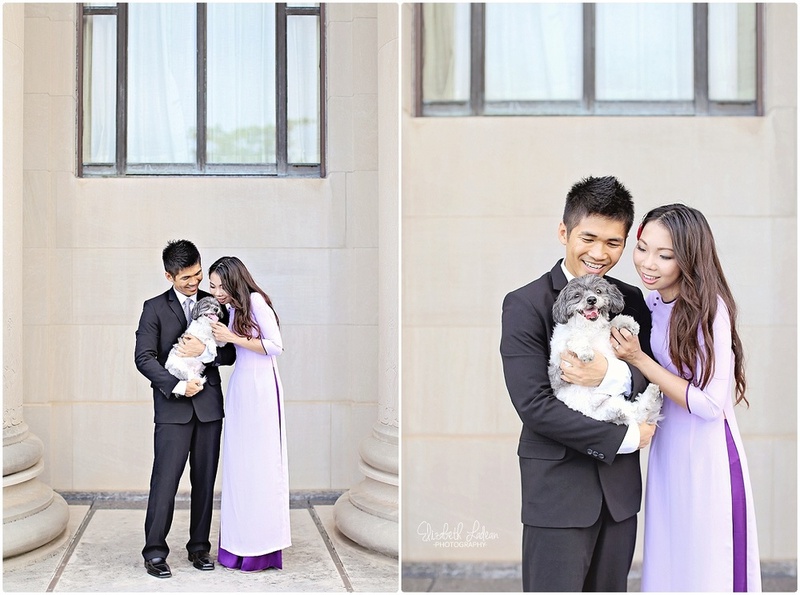 Two bubbly, happy, wonderful and friendly medical school students who were married in a traditional Vietnamese wedding ceremony earlier this year. They wanted me to be the lucky photographer behind their formal engagement-style photos. We found out at our initial meeting that we live less than 5 minutes apart! 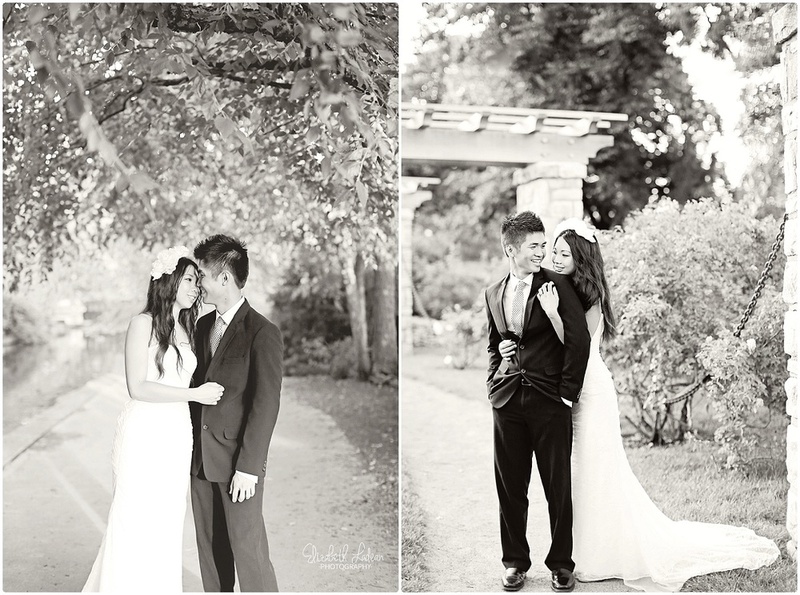 And as I struggled to pronounce Khoa's name, Thao said to me "It's like a Koala Bear, Khoa" - I laughed so hard and knew immediately, it was something I would never forget, just like I won't ever forget these two awesome people! 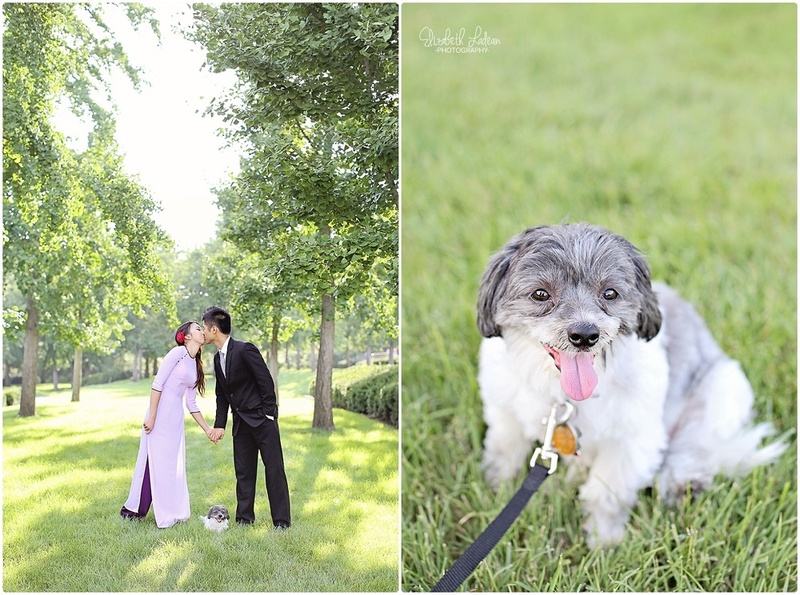 We ended up with a ridiculously muggy July evening for their session - but these two came well prepared with two friends who helped out so much, and also kept their sweet doggy, Pepper, well hydrated! 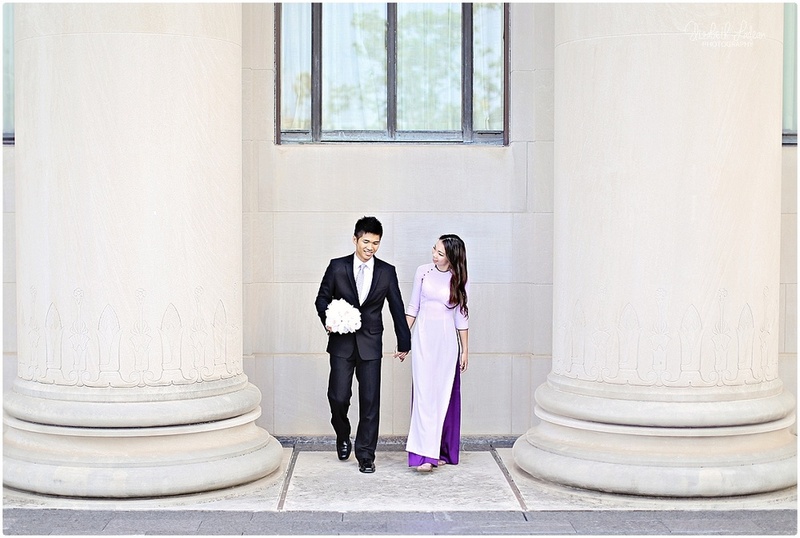 We started our time at The Nelson Atkins where Thao wore a traditional Vietnamese dress, and Khoa donned a sleek tux. These two are SO cute together it's downright absurd. They love to laugh and laugh together! 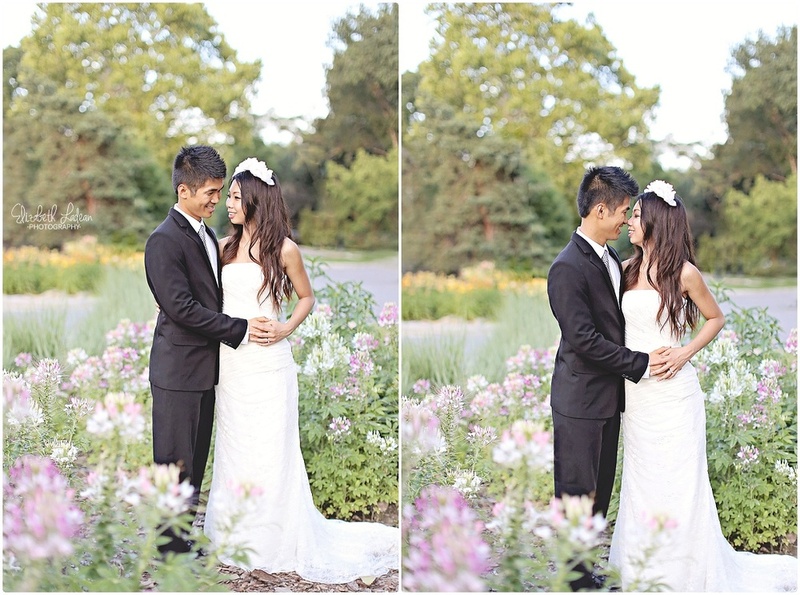 We finished up at Loose Park where Thao had then changed into another beautiful gown! Gotta love when clothing changes mean two exquisite dresses!! These two have such a bright future ahead of them, both individually and together. The type of personalities they both have is infectious - you can't help but smile around them, they radiate happiness and are always so positive!